We have the support of the UK's largest franchised estate agency group and are part of a network of over 200 branches across the UK. Our team offers sellers and landlords a massive interlinked system of registered buyers and applicants. We specialise in selling, letting and managing property in Harborne and the surrounding areas of Edgbaston, Selly Oak, Bartley Green, Kings Norton, Northfield and Kings Heath. Postcodes covered include: B15, B16, B17, B29, B30, B31, B32, B67. Hunters has a range of exciting properties for sale in the Harborne area. We can find you something that perfectly suits your taste, and is within budget. Whether you need a house or a flat. Our local branch is committed to working hard on our client's behalf. You can browse properties that are currently on the market by clicking here. If you're not interested in buying, and would prefer to rent a place to live, we can also help. Again, we have a variety of different property types - so you have lots of choice when deciding where to rent. We work closely with both landlords and tenants to ensure everybody gets what they need. If you'd like to see our current listings of properties available to rent, then click here. With the advantage of the latest web technology, we provide customers with the very best marketing and a dedicated team to sell your home as quickly and smoothly as possible. Our lettings department offers a dedicated property management centre, which has proved to be an exceptional and much needed service for local landlords. As full members of the Ombudsman for Estate Agency scheme, we offer a guaranteed professional level of service. The ambitious and highly motivated team at Hunters Estate Agents Harborne combine their expert local area and property knowledge with specialist financial, mortgage and banking services. Andy Thomas and Simon Redhead operate Hunters Harborne and are proud to be part of a national, independent estate agency network. If you’re looking to sell your home, we can help. 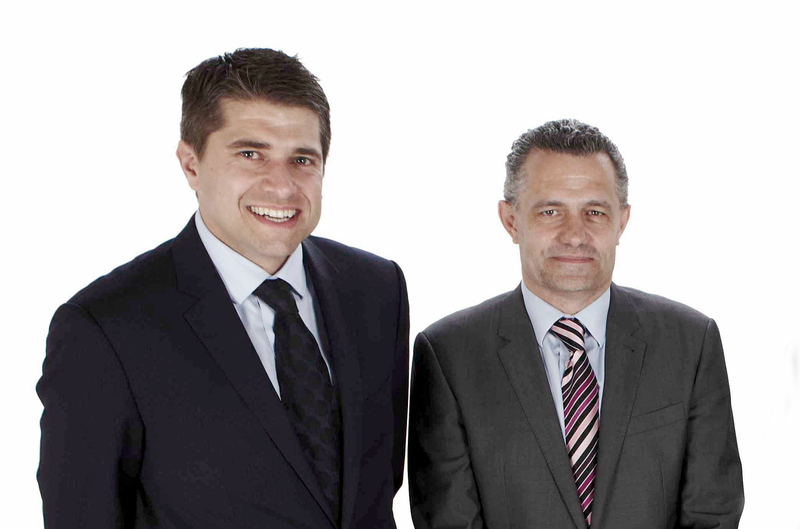 Our team is very experienced in the Harborne area, and can assist you through every step of the sales process. You can get started with a free valuation of your home. Do this online by clicking here, or ask us to come and visit your property in person. Either way, we’ll be sure to help you can a great price. Dean, Andy and the Harborne team are all about the customer, from the initial taking of photographs and measuring right through to completion. Click to view preferred suppliers for Hunters Harbourne. VAT Reg No: 135 7515 12 | Registered No: 05871170 | Registered Office: 169 Knightlow Road, Harborne, Birmingham, B17 8PY. A Hunters franchise owned and operated under licence by Property Investor Midlands Limited. Resting just 3 miles outside of Birmingham, Harborne is a quiet suburb with a population of just over 23,000. This leafy suburb is a great place for all of those families and professionals who want to work in central Birmingham without sacrficing the sense of community that comes with smaller areas. Harborne is a Victorian suburb and still retains much of its early architecture, the highest concentration of which is found in what is colloquially known as Harborne Village. The churches in Harborne can give history buffs hours of joy, with claims to fame including St Chad preaching in Harborne’s St Peter’s Church during the Medieval period. St Mary’s Catholic Church also stands proudly, with a breath taking tower reaching up to the sky. Compared to the Quaker founded Birmingham suburbs, Harborne has a healthy number of pubs and bars. The famous ‘Harborne Run’ pub crawl has between 10 and 15 spots -- depending on which list you’re following! With homes available to buy from as little as £60k, this area is growing increasingly popular with bright, young professions who are kicking off their career in the city centre. The commute is a mere 7 minutes by train, and the central location allows you to reach other locations with ease. Edgebaston and Bourneville are just a short trip away, providing entertainment for people of all ages. Of course, there’s plenty to do in Harborne itself, with picturesque golf courses, a wide selection of independent and chain restaurants and boutique, high end retailers for those days where you need a little retail therapy. For families moving into the area, there are a number of great schools in and around Harborne for you to choose from. Whether you opt for one of the faith led schools or the many secular primary and secondary schools in the area is entirely up to you. Whatever you choose there are strong academic records abounding so you can be confident that your children will receive a great education. There are also a good number of private schools around Harborne and the wider area, tuition and extra costs vary, but this is a fantastic option for anyone who wants to enter their children into independent schools. Whatever it is that brings you to Harborne, you can always fall back on the knowledge that this is an unbeatable location to grow in. Whether that’s your professional career, your family, or both, Hunters are here to help you find the right home and take that next step. Get in touch with us today and find out how we can help you. When you’re ready to move, Hunters gets moving.